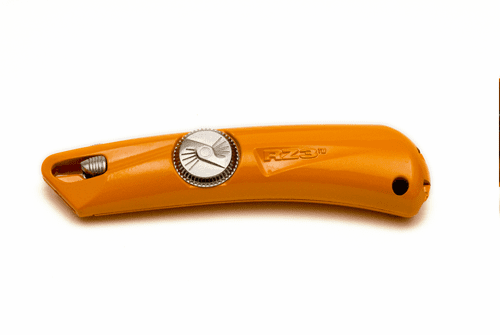 Pacific Handy Cutter RZ-3 Spring Back Utility KnifePacific Handy Cutter, RZ-3 Spring Back Utility Knife. 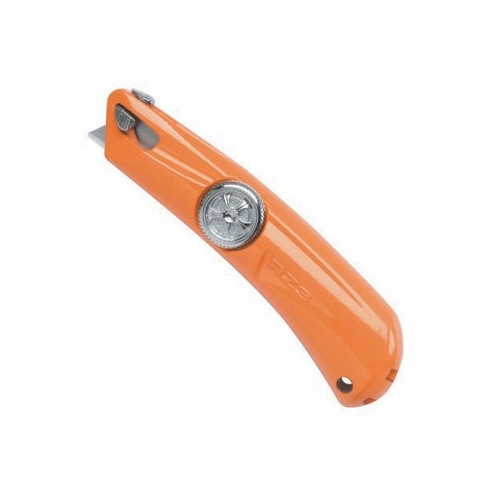 Item # SC-5300 , Spring Back utility knife features a spring back action that automatically retracts blade into knife. Ambidextrous 3 button activation (top, right, and left). Quick blade change knob rotates for quick, safe blade change in seconds.